Nineteen Eighty-Four, or 1984 as it is often published, is of course one of the most famous science fiction novels in history. 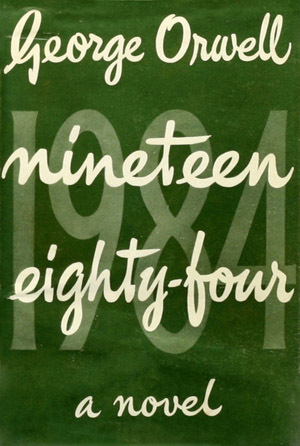 Today is it widely regarded as the epitome of dystopian novel. Together with Aldous Huxley’s Brave New World (1931) – which I also highly recommend – 1984 inspired what has become a large subgenre of SF: Dystopia. A dystopia is an imaginary society or world where citizens are oppressed, living conditions are terrible, and in a nutshell, everything is bad. The origin of dystopia actually comes from its opposite: Utopia (1516), which is one of the earliest novels, written by the English renaissance humanist Sir Thomas More (1478-1535) who was beheaded by King Henry VIII and later canonized as Saint Thomas More by Pope Pius XI. Utopia depicts the society and customs of an ideal country on a fictional island in the Atlantic Ocean. Despite the 16th century origin of the name (More invented it), utopian literature has been around a very long time – one of the oldest examples is Plato’s Republic, which dates back to the 4th century B.C. Writers (and readers) of utopian literature have found imagining ideal societies a fruitful exercise towards hopefully improving things here in “reality”, as well as dystopian literature has provided vital warnings and criticism against the excesses of governments, the abuse of power, and the plight of the individual vs. society. 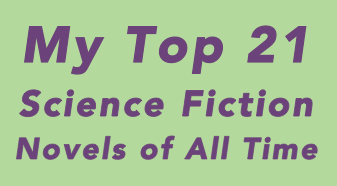 Understanding the utopian and dystopian impulses that are at the heart of great science fiction is vital to understanding the genre and the importance it has played and will continue to play in shaping the course of humanity. There is no better book to start with than George Orwell’s prophetic and haunting masterpiece 1984.